No prep fun articulation activity! When the holidays get busy, who has time to prep? 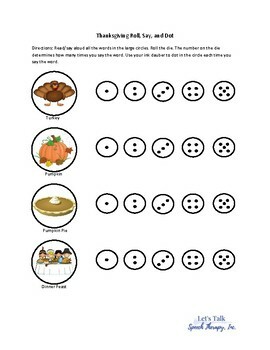 With these activities, the student can learn new vocabulary related to Thanksgiving. They will have a great time rolling the dice and using their favorite color dauber!